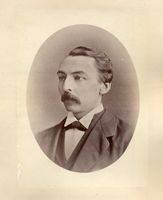 SCOTT, HENRI-THOMAS (baptized Thomas-Henri), soldier, teacher, pioneer in physical education, journalist, and general merchant; b. 29 May 1880 in Alfred, Prescott County, Ont., son of James Scott, a merchant, and Marie-Louise Lemoyne, and grandson of William Henry Scott*, a Scottish Patriote from Saint-Eustache, Que., d. unmarried 31 May 1926 at Île du Grand Calumet, Que. One obituary suggests that Henri-Thomas Scott attended school in Ottawa, Saint-Jérôme, Que., and Montreal. When he was about 15, he had his first physical education classes. At the end of his adolescent years, an interest in military life led him to enlist in the 65th Battalion of Rifles (Mount Royal Rifles), and he is regarded as one of the founders of its officers’ mess in 1898. His superiors soon recognized his abilities and sent him to study at the infantry school in Saint-Jean, where he obtained a first-class certificate as an infantry instructor. On his return he was promoted to the rank of sergeant-major. At this period the Canadian government was offering a special course in physical education to a representative of each military district in Canada. On the advice of François-Samuel Mackay, lieutenant-colonel of what had become the 65th Regiment of Rifles (Mount Royal Rifles), Scott enrolled at the Royal Military College of Canada in Kingston, Ont., in 1903 as the representative of the military district of Montreal. He obtained a first-class diploma there and was immediately appointed sergeant-major of the 11th Infantry Brigade at the Trois-Rivières camp. In January 1905, while pursuing his career in the militia, Scott began teaching physical education in Montreal at the École Normale Jacques-Cartier, the Collège Sainte-Marie, and, probably in the same year, the Collège de Saint-Laurent. He favoured the Swedish method, which uses a minimum of equipment. From 1906 to 1908 he also taught the students from the Montreal branch of the Université Laval, the Petit Séminaire de Sainte-Thérèse, the college at Farnham, and the Catholic High School of Montreal, which was attended by Irish students. However, it was Scott’s role with the Montreal Catholic School Commission that would establish his reputation. In 1905 the board had given him the assignment of organizing and teaching physical education. His arrival coincided with the rise in Montreal of a reform movement concerned about the ravages of infant mortality and tuberculosis. It was calling for parks, public baths, playgrounds, vacation camps, and a more practical education, better adapted to an industrial and urban society. A pedagogy centred on children’s activities was beginning to develop, which also encouraged the practice of physical exercise. Scott began teaching on 16 Oct. 1905. Physical education, however, was still an optional subject and not on the regular timetable. On Saturdays, Scott gave lessons to interested students in the gymnasium which the commission had specially equipped in the Catholic Commercial Academy of Montreal. He organized gymnastics clubs in a number of schools and at the end of November 1906 brought them together in a Ligue des Sociétés de Gymnastique Interscolaires. In 1908–9 he was teacher and supervisor of the teaching done by instructors at ten boys’ schools, seven run by lay teachers and the others by religious brothers. He would have liked to see physical education taught in every school and class, but the board was not so disposed. From 1911 he seems to have used his energies largely in the service of private institutions. On the eve of World War I, he had 2,500 cadets under his command and taught or supervised the teaching of physical education in nearly 30 public and private schools with a total enrolment of more than 4,000 boys. He also gave lessons at Dr Henri Lasnier’s Institut de Physiothérapie. Prominent members of the Roman Catholic Church in Quebec, prompted by the support given to physical education by Pope Pius X in 1905, approved Scott’s initiatives. He also received encouragement from the army and from French-speaking members of the liberal professions, business, and industry, as well as from politicians. For several years in succession the Association Saint-Jean-Baptiste de Montréal invited him and his gymnasts to give demonstrations as part of the Saint-Jean festivities. The most unconditional and constant support, however, came from La Presse, which gave ample coverage to the activities of his gymnasts. The newspaper even assigned its “physical culture” columnist, Dr Joseph-Pierre Gadbois, to promote physical activity, and it published numerous editorials extolling the merits of the “rational gymnastics” taught by Scott. Nevertheless, Scott had to struggle constantly against indifference, prejudice, routine, and conservatism, particularly in educational circles. To help him with administrative tasks and to ensure that his activities were more widely publicized, Scott founded the Société Nationale de Gymnastique in October 1905. This organization hoped to set up gymnastics societies, gymnasiums, and vacation camps throughout the province. It also supported the movement for playgrounds. It trained instructors who would spread its principles and methods to schools and colleges. The help it gave to Scott’s various initiatives was a major factor in their success. In June 1907 the second annual school gymnastics tournament managed to attract 500 gymnasts to the Montreal Stadium. Afterwards, more than 70 from seven schools under the Montreal Catholic School Commission, the Petit Séminaire de Sainte-Thérèse, and the Collège de Saint-Laurent boarded the train for Quebec, where a committee had made preparations for their arrival. The gymnasts gave two demonstrations, one at the Quebec Drill Hall, presided over by the lieutenant governor, Sir Louis-Amable Jetté*, on 8 June, and the other for the students and officials of the Université Laval the day after. The event was widely publicized and proved a determining factor in the rapid spread of physical education at Quebec. The triumph of Scott’s gymnasts in Rome in 1908 would make him a hero. To celebrate the 50th anniversary of the ordination of Pius X, the Federation of Catholic Sports Associations in Italy organized an international gymnastics “congress,” and La Presse offered to underwrite the cost of sending a team of Scott’s best students. Ten boys over the age of 14, most of them from the Collège de Saint-Laurent, were chosen to take part in the event. Belgium, France, Ireland, and Italy were also represented at the tournament, which opened on 23 September on the grounds of the Vatican. On 26 September, in the presence of Pius X, the Canadians were declared the winners. Four days later the pope received them in a private audience, gave them his blessing, and presented them with two boxes of cigars. This papal attention to the small group of boys from Montreal, and their victory, were widely commented on in the press throughout Quebec. On their return, they were welcomed at Quebec and Montreal by crowds estimated at 25,000. The anniversary of this victory would be celebrated for years. The stellar achievement in Rome encouraged Scott to set up a gymnastics school for women in November 1908. He had been considering it for a long time but had hesitated for fear of offending some people’s sensibilities. “The awakening of sympathy” by the success in Rome had overcome his hesitation. In addition, Scott offered, on request, private lessons at home for ladies, who also received instruction in riding, tennis, and snowshoeing. From 1908 to 1913 he also worked as a journalist for La Presse. In 1911 Scott crossed the Atlantic again with ten of his students to participate in an international “congress” at Nancy, France, of more than 8,000 Catholic gymnasts, the majority of them French. On 31 July, before a crowd of 40,000, the young Montrealers won the international first prize and a number of medals. Following this victory, Scott and his gymnasts, at the invitation of some Belgian organizations, took part in a competition early in August at Diest that brought together 3,000 participants. They left Belgium with gold medals and a certificate of merit. On 8 August they were officially received in London by Lord Strathcona [Smith*], the Canadian high commissioner. Two years later, in September 1913, some of Scott’s gymnasts again participated in an international competition in Rome, with 8,000 athletes from 2,000 gymnastics associations. They made a good showing, finishing in second place, and were congratulated by Pope Pius X. After visiting a number of European cities and giving a demonstration of their skill in Ghent, Belgium, they returned to Montreal on 30 September. In his campaign to provide for the all-round development of young French Canadians, Scott emphasized the need to take part in sports. To increase access, he had received authorization from the Montreal Catholic School Commission in the winter of 1906–7 to build a large open-air skating-rink on the grounds of the Catholic Commercial Academy. In order to ensure some permanence for athletic activities, he worked to set up various clubs. He was also keenly interested in playgrounds. He urged municipal authorities to set them up “in every park,” as was common in the United States, and he offered to train instructors. As a member of the Parks and Playgrounds Association of Montreal [see Grace Julia Parker*], he proposed that swimming pools and public markets be converted into gymnasiums during the winter. In the summer of 1910, to improve the lot of children in the city, he became the first francophone to found and run a vacation camp – in Sault-au-Récollet (Montreal), on the banks of the Rivière des Prairies. While pursuing his career as an educator, Scott continued to rise through the ranks of the military hierarchy. Around 1907, he was made a lieutenant when he was transferred to the 85th Regiment (Régiment de Maisonneuve). From 1905 to 1914 he taught physical education to the men of this regiment as well as to those of the 65th. He spent World War I in Canada as chief recruiting officer of the 57th Infantry Battalion, which was formed on 28 April 1915. In the course of a year, some 1,800 French Canadians enlisted in this unit. Many of them were athletes or students to whom Scott had taught physical education. Appointed major in June 1915, Scott was transferred to the 206th Infantry Battalion on 11 May 1916, which was dissolved within a few months. He subsequently set himself up as a general merchant in Île du Grand Calumet, on a property he had bought with his brother Maurice in 1916. The place soon became a rendezvous for hunters and fishermen, and many prominent people enjoyed his hospitality. On 31 May 1926 tragedy struck. Henri-Thomas Scott, Joseph Boucher de Labroquerie Taché, chief librarian of the Library of Parliament in Ottawa, and Paul-Émile Bernier, a translator for the Post Office Department, started out on a fishing trip on the Ottawa River. Their canoe overturned and Bernier and Scott were drowned in the rapids. The major’s body was recovered on 4 June. And so, the life of the man who can be considered the father of physical education among the francophones of Quebec came to an abrupt end, when he was but 46 years old. AO, RG 80-2-0-151, no.28894. Arch. de l’Univ. du Québec à Montréal, 2P (fonds de l’école normale Jacques-Cartier), 2a/17, 2a/26; 2e/4. Commission Scolaire de Montréal, Secrétariat Général, Secteur de la gestion des doc. administratifs et des arch., letters of H.-T. Scott to the director general of the Catholic Board of School Commissioners of Montreal, November 1907, and to the commissioners, 28 Sept. 1909. NA, RG 150, Acc. 1992–93/166, box 8722. École Normale Jacques-Cartier, Annuaire (Montréal), 1905–6; États de service . . . (Montréal), 1857–1909. Robert Gagnon, Histoire de la Commission des écoles catholiques de Montréal; le développement d’un réseau d’écoles publiques en milieu urbain ([Montréal], 1996), 103–10. 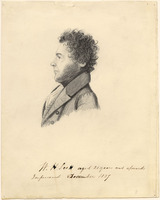 Jacques Gouin, William-Henry Scott et sa descendance ou le destin romanesque et tragique d’une famille de rebelles (1799–1944) (Hull, Qué., 1980). Donald Guay, L’éducation physique dans les écoles normales du Québec, 1836–1969 (Montréal, 1969); L’histoire de l’éducation physique au Québec: conceptions et événements (1830–1980) (Chicoutimi, Qué., 1980). Quebec Official Gazette, 1908: 839. Denise Villiard-Bériault, Saint-Laurent: un collège se raconte: 120 ans de collège, 10 ans de cégep (Montréal, 1977), 99–107. Gilles Janson, “SCOTT, HENRI-THOMAS (baptized Thomas-Henri),” in Dictionary of Canadian Biography, vol. 15, University of Toronto/Université Laval, 2003–, accessed April 22, 2019, http://www.biographi.ca/en/bio/scott_henri_thomas_15E.html.